The questions that drive Priscilla LongÃ¢ÂÂs Fire and Stone are the questions asked by the painter Paul Gauguin in the title of his 1897 painting: Where Do We Come From? What Are We? Where Are We Going? These questions look beyond everyday trivialities to ponder the essence of our origins. Using her own story as a touchstone, Long explores our human roots and how they shape who we are today. Her personal history encompasses childhood as an identical twin on a dairy farm on the Eastern Shore of Maryland; the turmoil, social change, and music of the 1960s; the suicide of a sister; and a life in art in the Pacific Northwest. Here, memoir extends the threads of the writerÃ¢ÂÂs individual and very personal life to science, to history, and to ancestors, both literary and genetic, back to the Neanderthals. Long uses profoundly poetic personal essays to draw larger connections and to ask compelling questions about identity. Framed by four distinctive sections, Fire and Stone transcends genre and evolves into a sweeping elegy on what it means to be human. 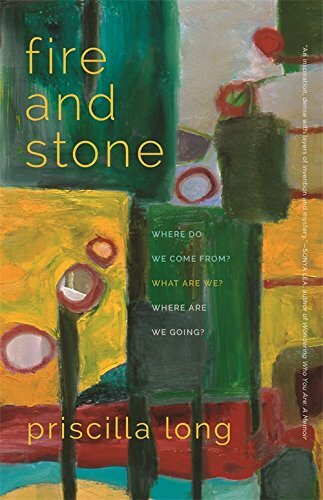 About: The questions that drive Priscilla Longâs Fire and Stone are the questions asked by the painter Paul Gauguin in the title of his 1897 painting: Where Do We Come From?